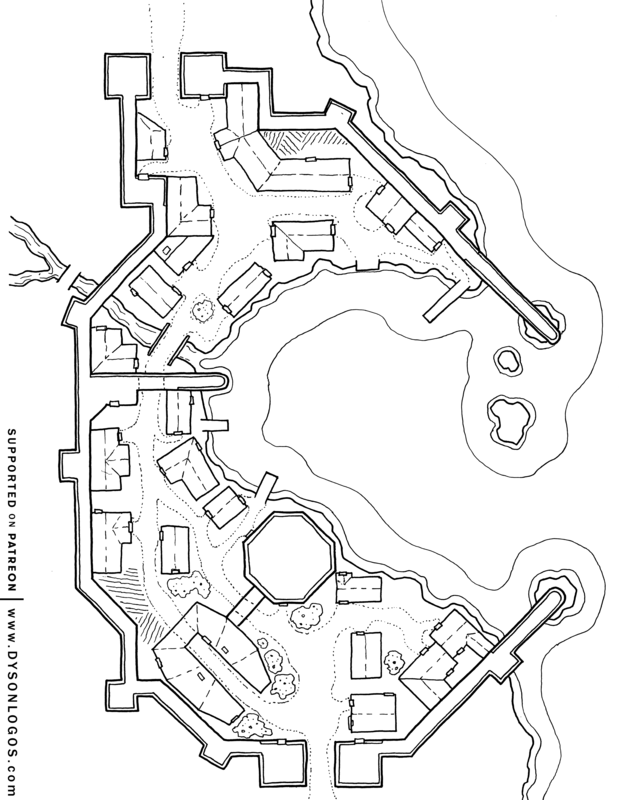 A small settlement in the Thendrake Archipelago, Quellport sits on an unusual lagoon in a cluster of islands. 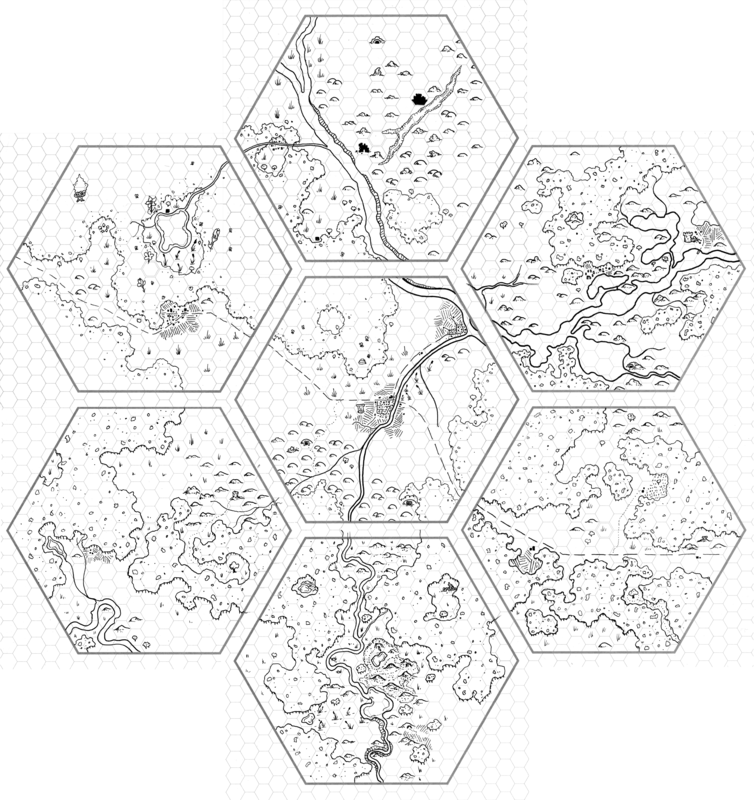 Except for the Isle of Seven Bees (the elongated forested island to the upper left of the map), all the smaller islands are generally just referred to as Quellport or the Quell Islands. 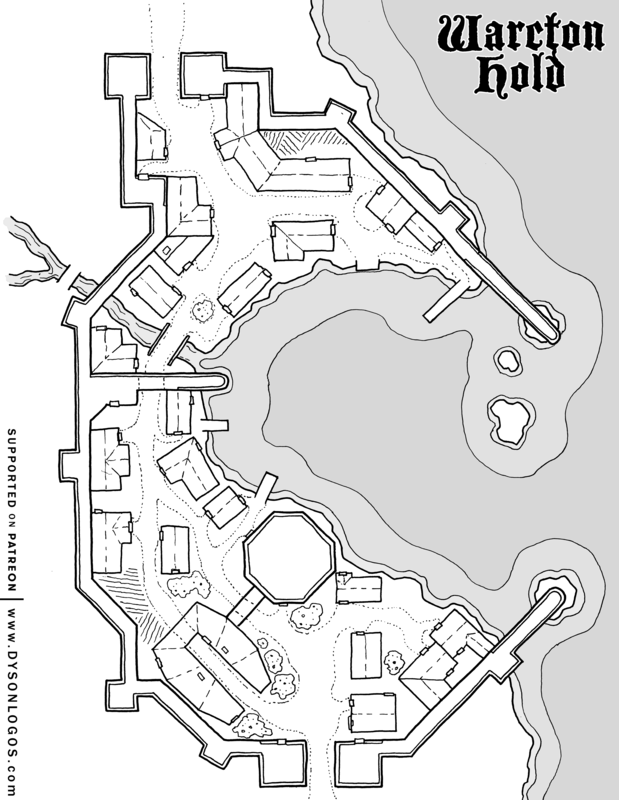 Quellport itself is essentially in the centre of the map sitting on the gentle waters of the lagoon. 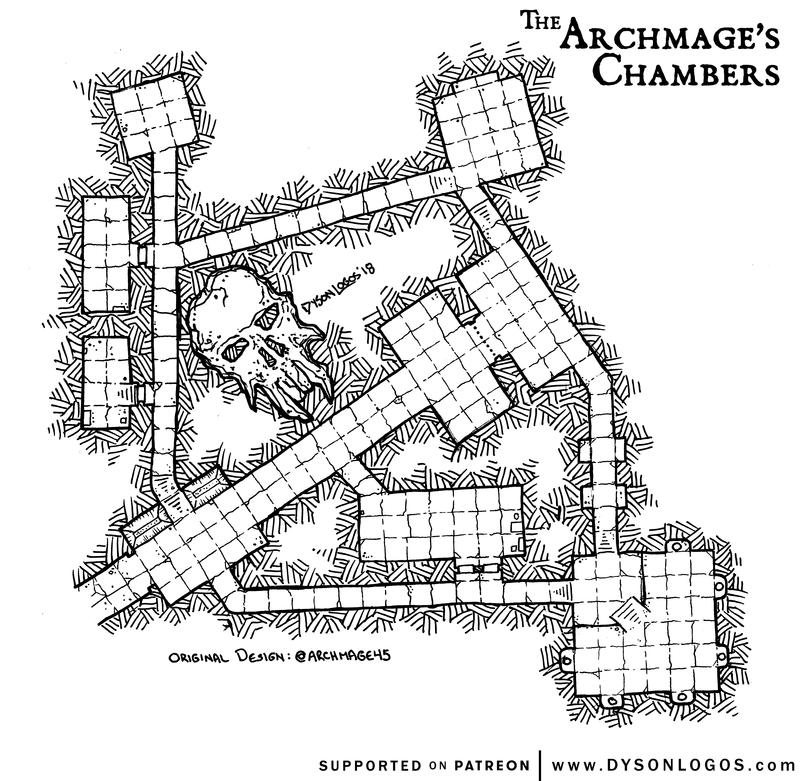 With a population of about 1,400, Quellport has grown beyond being a fishing and farming community and supports several churches, guilds, and a “tower of arcane knowledge” where a number of wizards and a few clerics who make excursions out to the cube for research or spiritual reasons. Quiet Cove on the north side of the same island as Quellport. 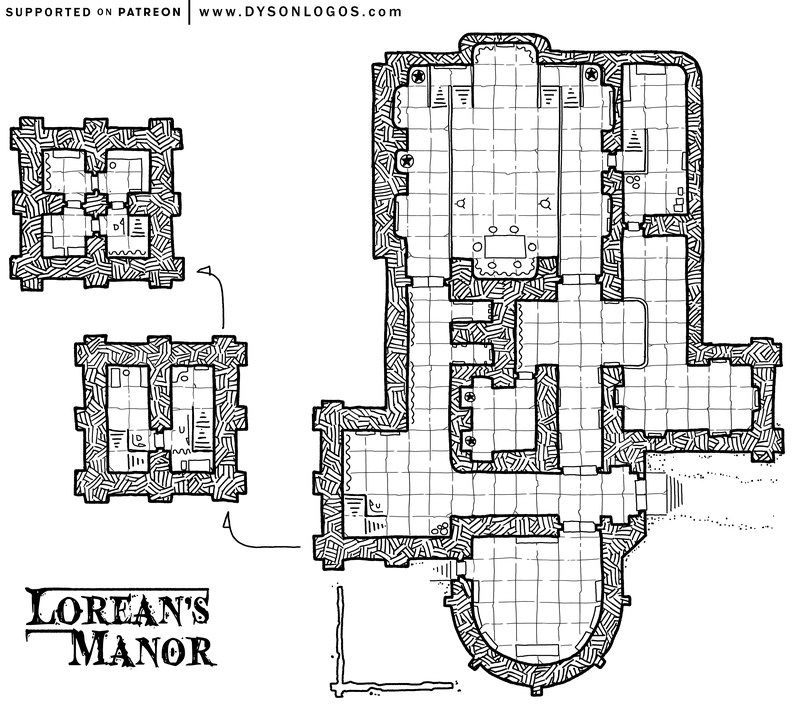 A small fishing community built up around a couple of large manors established by well-off ex-adventurer types. 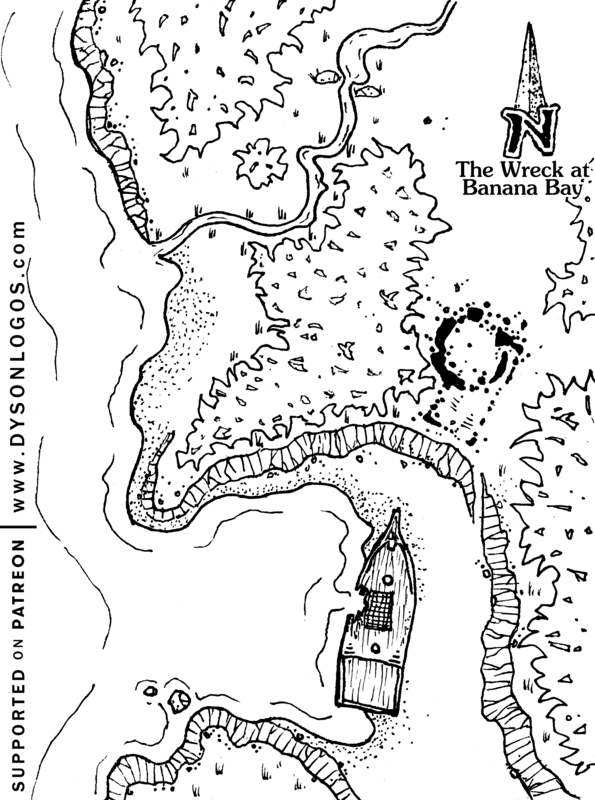 Sheep’s Cay on an eastern Quell island specializes in deep sea fishing and also maintains a friendly relationship with the cyclops living in the caves a few islands north of them. They deliver the occasional sheep and large fish to the cyclops, and the cyclops remains generally peaceful in return. Greenshore is south of Quellport and is known for the excellent shipbuilders who set up their business here. They collect wood from the island across from them and build some of the hardiest fishing and merchant vessels in the region. The Isle of Seven Bees is home to a strange and massive hive that sits atop a 300 foot amber tower. A number of giant bees (about 20 feet long) live within the hive and occasionally fly over nearby islands. 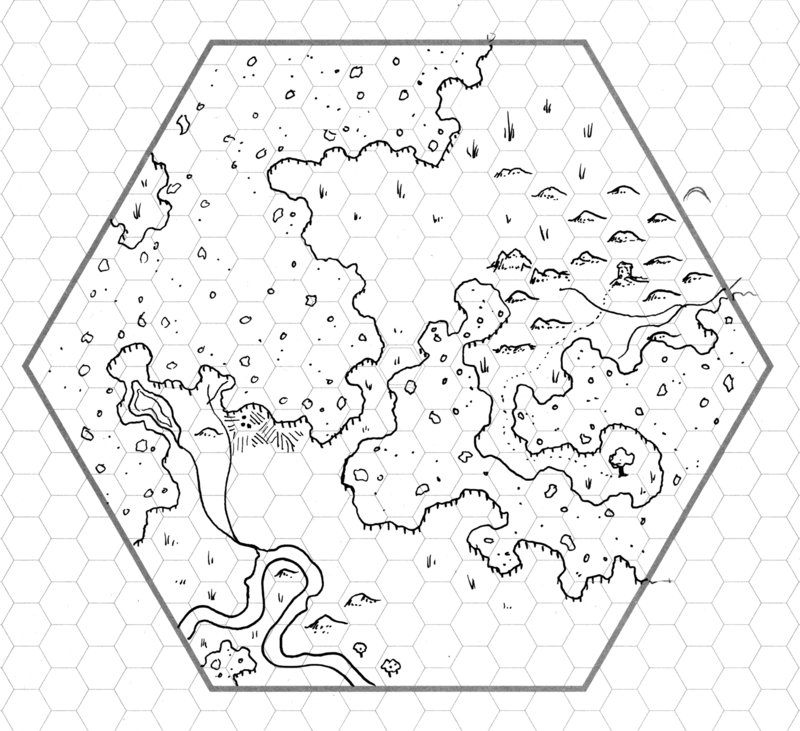 At random intervals every few years or so, they collect upon the cube in the Quellport lagoon – and a local adventurer has regaled visitors and locals alike with tales of liquid gold and other treasures he found within the hive when all the bees were at the cube a few years back. And finally the cube… In the middle of the Quellport lagoon is a massive cube, sitting at a slight angle in the waters. A deep blue in colour, it seems potentially related to the massive pillars of the “City of Blue”. Small bits of it have been mined and broken off, but those who work the cube itself for more than a few hours find themselves sickening and often dying within a week or two. 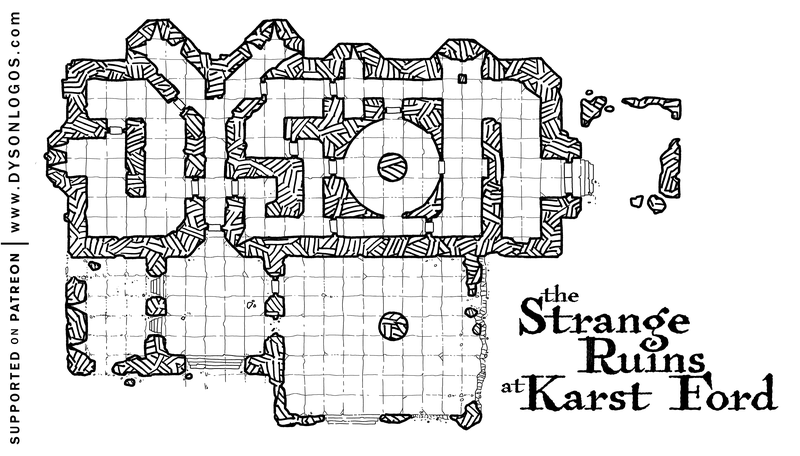 It is said that whatever god who dropped their die here doesn’t like it when the locals try to break it apart. Now we are a month into the daily drawings. It was somewhere around this point that I stopped calling them “Daily Doodles” and switched to “Daily Drawings”. The media by this point is moving away from the Sharpie markers as the primary instrument, and more towards focusing on detail work done with a 08 technical pen – generally only the outlines and major chunks of black space are done with the sharpie now. 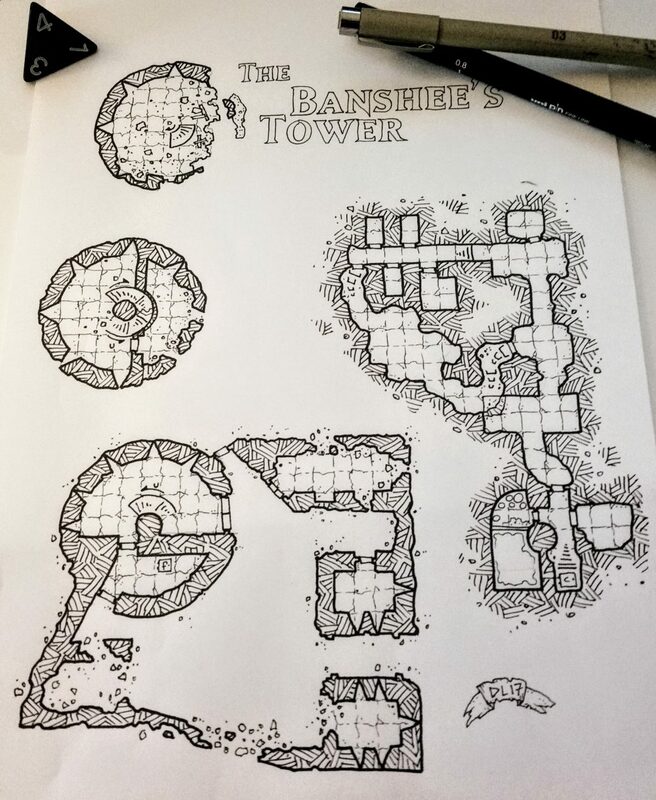 Some pieces, like the tower and hill on the right, are done entirely using a black gel pen – a call back to how I started doing my cartography here on the blog. But this set of three also points out the big change at this one-month point. That centre piece is a redraw of the logo of Neoclassical Geek Revival. At this time, Zzarchov was in the middle of his launch of the new edition of that RPG, and one of the offerings is versions of the game illustrated entirely by one artist. At the time of the Kickstarter launching there was the classic edition using old public domain art, and the Scrap Princess edition. Stretch goals unlocked versions by Alex Mayo, Chris Huth, Luka Rejec, and myself. So suddenly I had a lot of illustrations to draw! 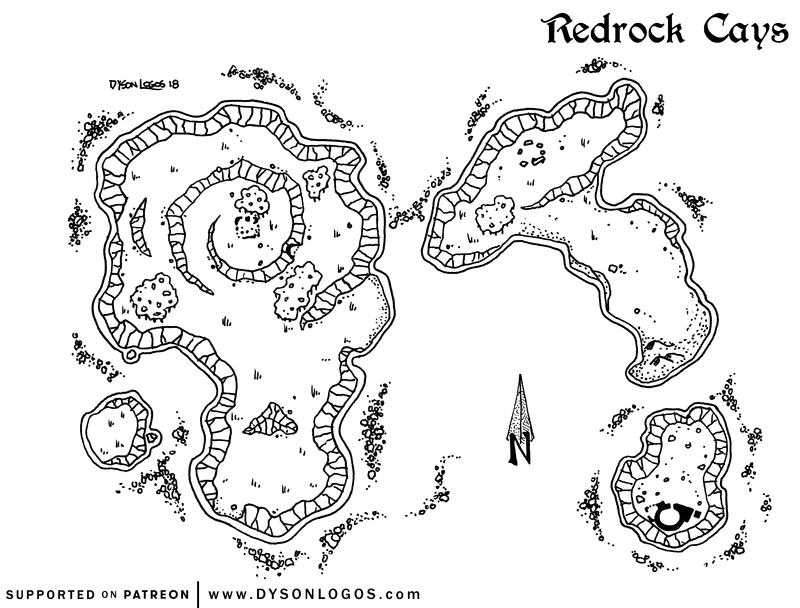 The vast majority of the illustrations from the third week through to about day 110 of the Daily Drawing process ended up being shipped off to be included in the Dyson Logos edition of the Neoclassical Geek Revival RPG. I’ve also really started settling in on one style at this point – heavy black lines and outlines drawn with the Sharpie, with lots of crinkly little details drawn with either a gel pen or a technical pen. With the set of three drawings below, we are now 41 days into my Daily Drawing exercise (which continues – I posted drawing 120 to my social media feeds last night). Happy Canada Day everyone! To celebrate the birth of our wonderful nation, and to avoid the 47 degree weather, it is time to release the Kraken on yet another unsuspecting waterside village!